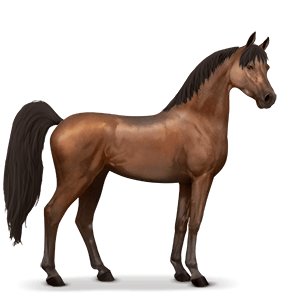 The Arabian Horse is the most popular breed on Howrse, and has been since the game began- It seems that EVERYONE breeds Arabs, (Even I do!). It is also usually found at the top of the Genetic Potential rankings. 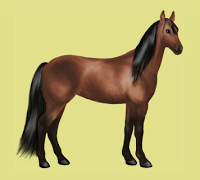 The Arabian Horse is one of the oldest breeds in the world and has been used a lot as an improver for other breeds because of its numerous qualities. It is one of the original breeds on Howrse.